Take A Stand Against Video Gambling! Illicit video gambling parlors are preying on families across North Carolina, and we must take action to end this harmful activity in our state. A measure is presently pending in the State House that would go a long way toward addressing this problem, and you can TAKE A STAND to see that it is enacted into law! While the possession and operation of video sweepstakes machines is illegal in North Carolina, the sweepstakes industry has worked tirelessly to try to circumvent the system and challenge laws that are passed. Senator Andy Wells (R-Catawba) led the effort on a measure during the 2017 session of the NC General Assembly that would make the possession of more than four video sweepstakes machines a Class G felony, and would force the operators to forfeit the machines. HB 577 was supported by NC Family, the North Carolina Sheriffs’ Association, and other policy organizations. It passed by an overwhelming majority in the Senate, but was referred to the Judiciary III Committee in the House just before adjournment in June last year. Now that the General Assembly is back in session, NC Family is working hard to educate House members on the merits of the bill and to encourage citizens to contact their representatives to urge passage of this critical measure. 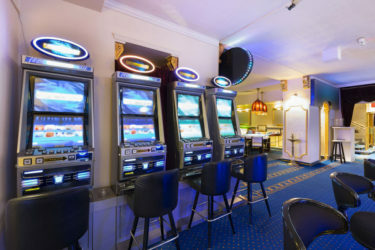 Video gambling is illegal in North Carolina, and law enforcement needs HB 577 to reinforce existing laws and to shut down these corrupt operations. Thank you for standing up for NC Families by voicing your support for HB 577!